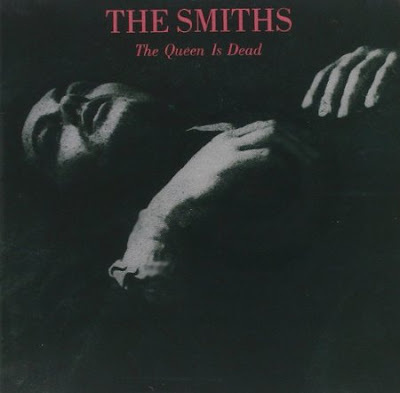 The Smiths revealed on social media that the official announcement behind The Queen Is Dead reissue is coming tomorrow...and in the meantime Morrissey and Johnny Marr continue to tease the reissue. Earlier this week, a leaked listing on Amazon revealed the reissue is slated for release on October 20th and deluxe editions will contain an extra disc of b-sides and more. UPDATE (7/20): Three expanded editions of The Queen Is Dead have been announced -- 2CD, 3CD/1DVD, 5LP -- all three include 8 previously unreleased songs (alternate versions of previously released songs); the 3CD/DVD set also includes a live concert captured in Boston and The Queen Is Dead - A Film by Derek Jarman.